Born in 1887 or 1888 near Prague Oklahoma. His parents were members of the Sac and Fox Indian tribe and he was a direct descendant of the famous warrior Chief Blackhawk. Thorpe attended Carlisle Indian School in Pennsylvania where he excelled in baseball, track and field, lacrosse, basketball and football. Thorpe competed in the Stockholm Sweden Olympics in 1912 winning 2 gold medals. 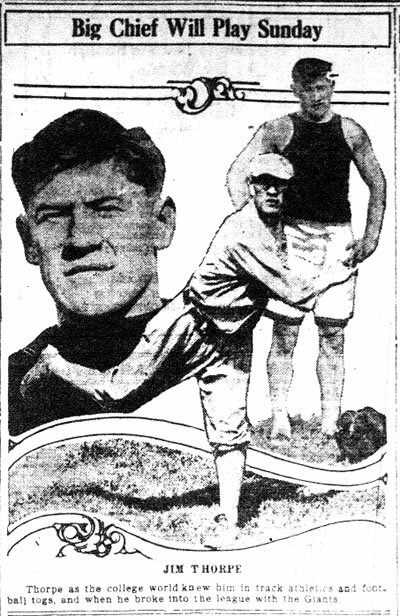 In 1924 manager A.H. Bowlby brought Thorpe to Rock Island. He arrived 2 days before the second game of the season, (vs the Chicago Bears). He practiced with the team just one time before the game and the Independents played the Bears to a scoreless tie. Several weeks later at Cubs Park (Wrigley Field) Thorpe kicked a field goal as they tied the Bears again. After the official end of the NFL season Thorpe took several players on a barnstorming tour that included a third game in Chicago against the Bears. This time the “Thorpe Independents” beat the Bears 7-6. The Independents finished the trip with 4 games through Texas where they won all of the games by a combined score of 76-7. 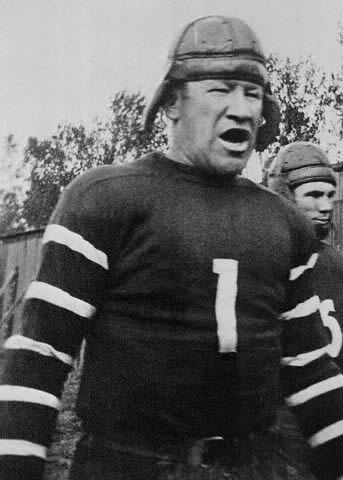 In 1925 Thorpe started the season with the New York Giants football team and then later returned to Rock Island to finish the season. Thorpe took several friends and a few members of the Independents on a less successful Barnstorming tour from December – January. He was inducted into the Hall of Fame in 1963.